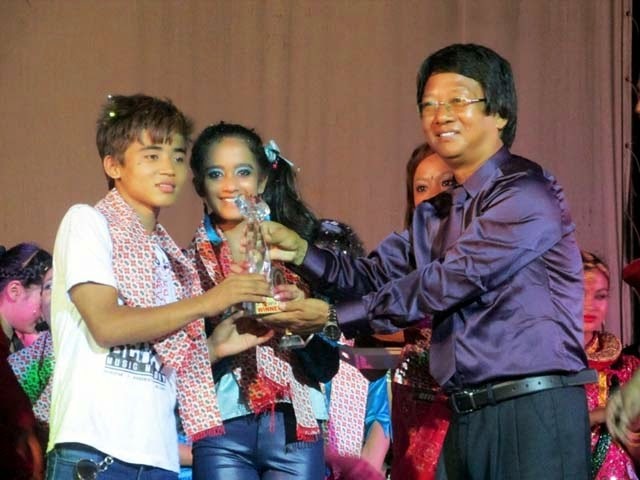 Mukesh Sharma: Khusi Jindal and Bijay Chettri was jointly declared the winner of Dance Kalimpong Dance Competition (under 15 )which was organised jointly by Reayaz Dance Institute and Hill Channel Kalimpong. The finale of the competition was held today at Town Hall where Dr.Lopsang Lama deputy Chairman of G.T.A was present as the chief guest. The runners up of this year DID little camp Anushka Chhetri with her family was too present . A total of 13 finalist reached was able to reached the finale . Bikash Darnal, Nilu Rai and Nidenla Lepcha was the judge of the finale. Apart Bimochana thapa who was judged with best expression trophy was adjudged the 2nd runner up while Kritika Gajmer who was declared the best performer was declared 1st runner up. Chhesangmo Tamang received the highest SMS and was granted a cash prize of Rs. 30 thousand. Meanwhile the winner jointly share the cash prize of 15 thousand. Both the winner will be trained free of cost by Reayaz Dance Institute and will also be taken to the audition round by the organisor as declared earlier by the Organisor as the prize of the competition. Next articleDance Kalimpong Dance have music it their blood.